"Wow! 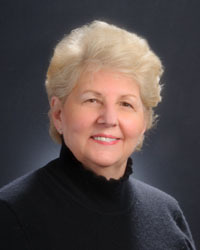 Janet Browning is the most professional, knowledgeable, courteous and kindest real estate agent we have ever worked with and we have worked with plenty. I cannot say enough about the vast knowledge about this area that Janet shared with us and the extent she has gone to making our transition as stress-free as possible. Janet continues to amaze me with her kindness and dedication to her profession as well as the personal interest this very busy agent has taken in us." "Janet was great! We enjoyed Janet's services. She went above and beyond. She made our move easier. Big "thank you" to Janet". "Janet's Team helped us and I would use them anytime". "We could not have been more satisfied with the service we received the Janet Browning Team. This was our first home purchase, so there was a lot we needed to learn. She not only did everything we expected, but went above and beyond. She worked tirelessly to help us negotiate the purchase of the home we most wanted, was incredibly quick and easy to communicate with, provided us with ample information and realistic input, always kept us updated and kept the process moving along even when we had to deal with a difficult sellers' agent. Janet's Team works for your best interest, keeps her word and makes the home-buying experience far more positive than it might be!"